What is every landlord’s worst nightmare? Vacancy, right? You know where you are stuck paying for your roof and the empty one you call a rental? As we discussed here, there are lots of way to prevent a vacancy including lowering the price. Growing up I used to hear the saying, “An ounce of prevention equals a pound of cure.” Honestly, that is beyond true in real estate! Yes, there are many ways to “cure” vacancy, but one of the easiest ways is to make sure you use moving season to your advantage! Definition of Moving Season: Period of time that your market sees the highest amount of moving traffic. In my markets this season is from April to the day school begins. The worst time in my market is Day School Start until November! I find that people with school aged children and even professionals try to move during the summer time. In areas with school-aged children I have found that immediately after the kids go back to school, it becomes dead. Parents tend to move early to get their kids started in school. No one wants to disturb a kid or get them off on the wrong foot. This is where lease length comes into play. I try to have ALL my houses come up between April and July. If the house is “off season” I will typically do shorter lease lengths to get them back on track. That brings me to the story–the reason for my post. The other day, I received a call from a prospective tenant. He wanted a six month lease bringing him to mid September! I said NO WAY. Here’s the thing; he was the perfect tenant! He wanted to rent sight unseen and was ready to sign a lease. They were buying a house so he only wanted this short-term lease. I realized if I wasn’t a hardened landlord who knew the trials of September I would have jumped on it. After almost having the ulcer to “prove” the fun of September rentals; I will never go down that worm hole. Which brings me to the point of this story! Look at the whole picture. While yes, a vacancy is bad, make sure you are looking at the future too! If this was January my answer would be very different. Vacancy is scary but its also VERY important to remember that moving season is important too. Hopefully that bit of advice saves you some wine moments! What has been your experience with moving season and lease length? Do you time your rentals so they come up at a certain time? 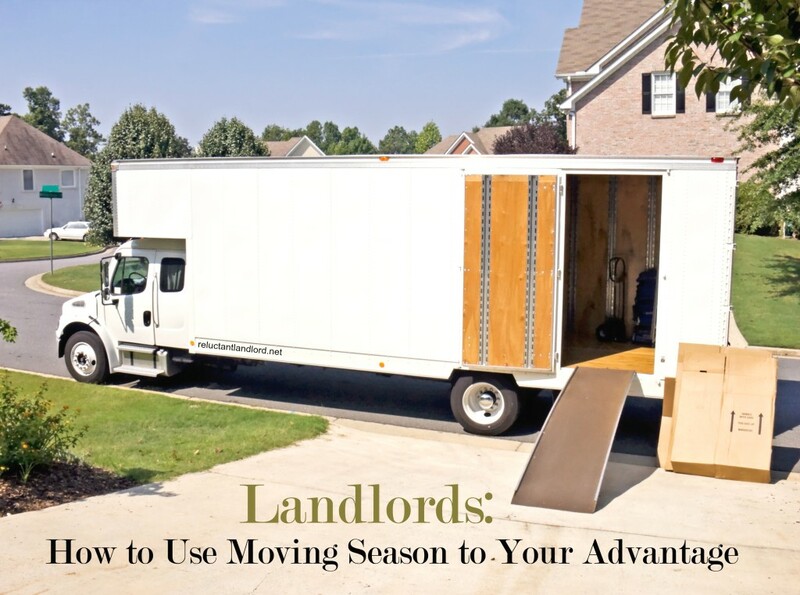 Do you use moving season to your advantage? I think it’s all about the clientele/tenant you’re looking to entice. We have never marketed towards military service members. We put our rentals into service in September and November and December. We have two older 5 bedroom 1 1/2 bath houses that always rent within days of hitting the market. They are competitively priced and self managed. We find a lot of tenants who have had nightmare unresponsive property managers. You won’t believe it but there’s actually a mother father and six respective children count him that’s a family of eight living in our 1960s house and they absolutely love it. Their Nana even moved in to help when the new baby came.